I’m sure a lot of Dark Funeral’s fans saw the album cover and assumed that this would simply be “Secrets of the Black Arts II”. And while this isn’t that, the typically fantastic Necrolord album art did signify a return to that same level of quality. This Dark Funeral is every bit as good as the Dark Funeral of 1996. In a certain sense, Dark Funeral are the Manowar of black metal. And I mean that in the most complimentary of ways. They’ve become synonymous with satanic black metal and its excesses, the way Manowar has been synonymous with 80s heavy metal and its excesses. They’re all similar in that very little really changes for either band musically. Sure, there has been line-up changes from time to time and you’ll get the occasional new wrinkle here and there, but generally, you know what you’re getting. Well (and it feels weird typing this) Dark Funeral may have matured a bit between albums this time. It’s not that they’re suddenly putting out prog rock for dads, or anything of the sort. They’re still very much a blast-heavy, satanic black metal band. 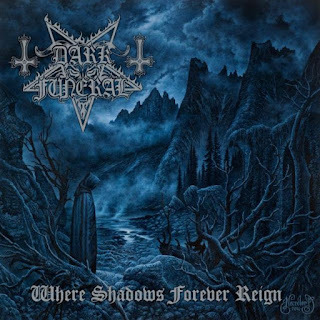 But there are a few differences that make ‘Where Shadows Forever Reign’ an uncommon listening experience, at least for a Dark Funeral album. A key difference on ‘Where Shadows Forever Reign’ compared to previous albums is that the band has put more emphasis on the sorrowful, melodic side they’ve flirted with dating back to songs like “The Dawn No More Rises” from ‘Secrets of the Black Arts’. It’s woven throughout the album, but it’s particularly strong on “Unchain my Soul”, “As I Ascend”, and the album-closing title track. Those first two songs are also part of an album-long theme of a lone guitar plucking a version of the song's main riff as per the song’s intro. Dark Funeral seems to go through different phases like this on each album. On ‘Attera Totus Sanctus’ the phase was fading in on a lone guitar as the riff is already in progress, which showed up on four of the eight songs on the album, as another example. So, where does this album fit into Dark Funeral’s discography? While it’s too soon to know how the album will hold up over time, I’d slot the album just below ‘Secrets of the Black Arts’ and just above ‘Vobiscum Satanas’, which are albums I’d have ranked 1st and 2nd respectively before this album’s release. At the very least, the song writing is a few notches above the previous two albums, and the album feels fresh, aided by the focus on melody and a more lively performance from drummer Dominion, who seems to have more creative freedom this time around, as compared to ‘Angelus Exuro pro Eternus’. I’m sure a lot of Dark Funeral’s fans saw the album cover and assumed that this would simply be “Secrets of the Black Arts II”. 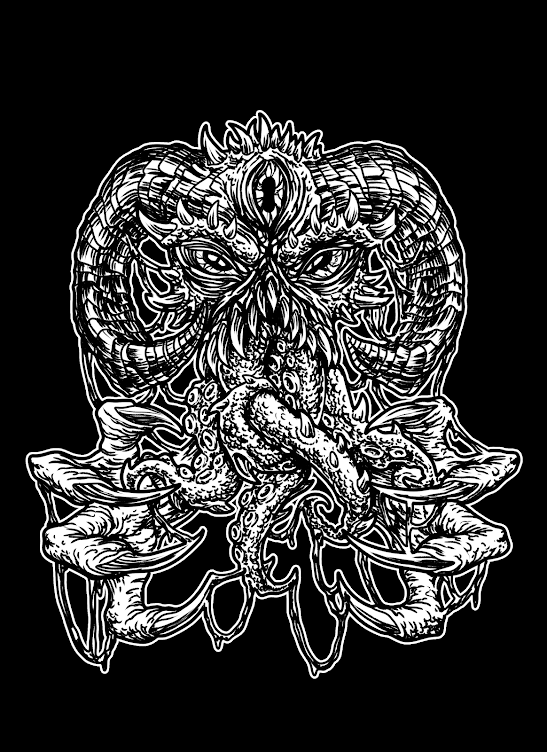 And while this isn’t that, the typically fantastic Necrolord album art did signify a return to that same level of quality. This Dark Funeral is every bit as good as the Dark Funeral of 1996.